From July 10 to August 7, Venus is going to be traveling through the territory of Virgo, which is where it will have its fall as well because reason will dominate over feelings in relation to love relationships, beauty and balance. Newest articles and materials on Venus. Find out about mysteries, stories and convenient advice on Venus. 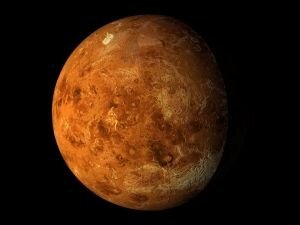 Read the newest articles and publications about Venus. Every one of these celestial bodies, which astrology calls planets, provides knowledge about a specific aspect or attitudes in our life. The discovery of ufologist and amateur researcher, known on the net as mundodesconocido, has stirred up a genuine sensation. The man claims that he has discovered giant structures and cities of artificial origin on Venus. The astronomer has been observing the movement of the planets to predict their trajectory for billions of years in the future. According to the expert, Mercury will collide with the celestial bodies nearest it - Venus or the Sun, after 5 billion years. The brightest planets in our Solar System, Jupiter and Venus, will come maximally close to one another in the night sky on July 1st. It is generally believed that the beautiful celestial event was called the Star of Bethlehem in the past. Taurus - Others' criticism will bring tensions. Gemini - You'll reevaluate your old plans once again. Cancer - You break off all contact with someone close to you. Could We Build Cities on Venus? Astronauts may begin studying the planet Venus up close in the near future, as long as they find themselves high enough above the otherwise dangerous atmosphere of the planet. Capricorn - You seek ways to increase your earnings. Pisces - A prime time for ventures. If there is a project you've postponed last month, the new moon this February will give you the opportunity to realize it. Aries - A very lucky week lies ahead. Aquarius - You focus your attention on others. Pisces - You will be more sensitive and emotional. Scorpio - A week of romance and love lies ahead. The planetary aspects this week will guide your attention toward your family and your partner. Prepare a gift or surprise for your beloved and it will be highly appreciated.